Email marketing was a “buzz” phrase in 2016. Businesses with a social media following and website traffic have worked hard to parlay those leads into substantial email lists. By now businesses of every size understand the importance of developing and growing an email marketing list with the goal of using it to accelerate their business growth to new levels. With the growing interest in email marketing it’s easy to come across thousands of email marketing statistics floating around the web. It is frequently difficult for businesses to know which are factual, relevant and current. To help in sorting things out we have curated a batch of the most important email marketing stats for 2017. As we discussed in last year’s Digital Marketing Statistics post, we only share factual email statistics that are relevant and current. 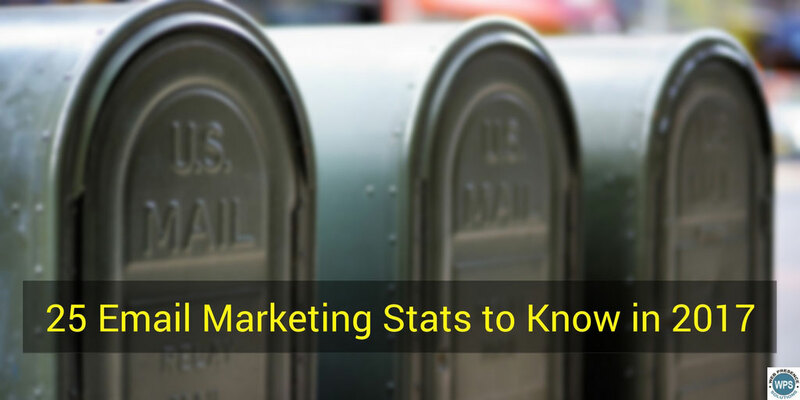 Use our email marketing statistics list as your email marketing authority for the 2017. Businesses that don’t recognize the tremendous importance and benefits of email marketing will get lost in the shuffle in 2017. Email marketing is a critical and strategic component of any 2017 small business marketing plan. From newsletters to abandoned cart recovery emails to quarterly report sharing and even the personalization of the sales journey, email is playing a growing role in online marketing. With a continuing stream of updates, upgrades and enhancements to email marketing tools and services, and the need for regular improvements in your strategy and tactics it is important to review these 25 email marketing statistics periodically in 2017. If you currently use email marketing as a primary marketing tool, grow from your current plan to include the latest technologies and tactics. If your email campaigns are successful and generating positive results for your small business, please share a comment and let us know what worked for you.